As of Tuesday night, only three Real Madrid players had taken to social media to send a message to former coach Julen Lopetegui. The Spanish giants released a club statement on Monday night confirming the decision to sack their tactician, a matter of months after he had taken the job prior to the season getting underway. 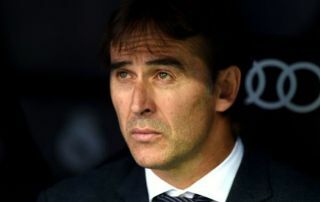 A poor run of results which culminated in the heavy loss to Barcelona in El Clasico on Sunday brought an end to Lopetegui’s tenure, and it doesn’t appear as though his former players are in a major rush to wish him well, in the public eye at least. As seen on countless occasions at other clubs with star players reacting to the news of a coaching change and wishing their former boss well, it’s expected that Real Madrid’s stars would respond in the same way given that they’re all so keen to use Twitter and the like at other times. However, clearly they either have other pressing matters to take care of and aren’t in a rush to address Lopetegui’s departure, or perhaps they feel as though the time isn’t quite right yet and are allowing the news to settle before offering a reaction. Either way, it’s bound to raise question marks over how close the former Spain boss was with his players, as he seemingly couldn’t get the best out of them on a consistent basis while in charge. Perhaps another factor is that Madrid are in action on Wednesday evening against Melilla in the Copa del Rey, and so the focus will be on bouncing back in that game under temporary boss Santiago Solari.